My dad’s family is scattered all over the world. Germany, England, Cyprus, Canada and elsewhere. His oldest brother’s family lives in California, so of all the uncles and cousins across the world, my Uncle Heraier and his family are the ones I got to know best. I spent time in their home in Los Angeles, where Aunt Arek fed us heartily literally every moment of our visits. I got to know my cousins, Zaareh and Ani. I have been known to joke that I would have married Zaareh if he wasn’t already family. He is just that good a guy. And my cousin Ani is a lot of what I want to be – intelligent, thoughtful, and a patient mother of two gorgeous children. And she has this beautiful curly hair that I have coveted always. They are a wonderful family. Yesterday I learned that Uncle Heraier passed away. He has been sick for a while, so his death wasn’t altogether unexpected, but it was still a surprise. 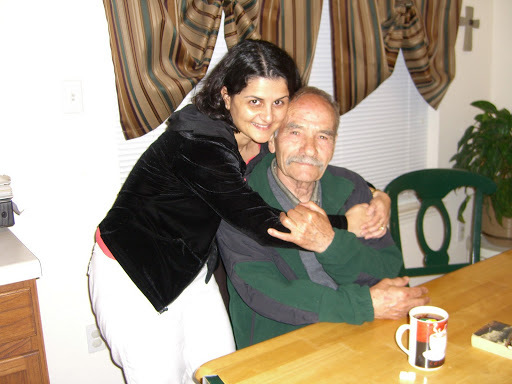 As the eldest brother on my father’s side, he held a special place in my family’s heart. And as the uncle who wrote me letters, made me laugh, and gave me sweet hugs each time he patted the seat next to him, inviting me to come sit with him, he held a very special place in mine. 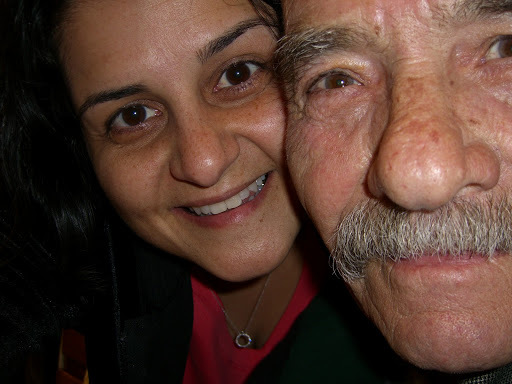 This is a picture I took with my Uncle Heraier during his last visit to Texas in 2007. I regret not having visited Uncle Heraier during his final months. I knew he wasn’t well and told myself again and again that I needed to go visit, but I failed to do that. And for that, Uncle Heraier, I am so terribly sorry. A look back at the first quarter of 2011. It’s almost the end of March. With a quarter of the year behind us, I’m assessing where I am and trying to figure out my plans for where I want to be. That’s true in terms of fitness and races. It’s also true for life in general. I’ve been “shoulding” on myself and have decided to stop. I should race. I should be a lawyer. I should listen to X, Y and Z. Really? Should I? Though this article appeared in the November issue, I read it just yesterday. It captures and articulates for me, better than I could, what I’ve been experiencing lately. I’m trying to listen to my inner voice, to the internal compass that guides me. I am trying to be my true self because I believe that the true me is better than any partial or artificial version of me that I could be. I have no interest in being partial or artificial. I want to be real. With a quarter of 2011 behind me, I have found my theme for the year. Be real. I am working on being real. That can mean different things to different people. For me, it means being the same person no matter who I’m around. It means figuring out who I am wired to be – in my heart and at my core – and being that person in any crowd. I know a few people who are like that, and I respect those people immensely. I want to be one of those people.